Media Architecture grow at the intersection of physical and digital space, it is also the combination of art and technology, a fusion of architecture, communication, public art, urban science, sociology, economics, as well as LED technology, internet technology, interactive technology, intelligent control, computer science and other fields and disciplines. Media Architecture have only emerged to the world less than 20 years, however it is developing very rapidly in recent years, especially in China, where it has become a powerful force, leading to the transformation of urban landscape as well as the changes of people’s mind. The development of Media Architecture is causing the changes in industry chain as well as the changes in the decision making process of building design, thus fosters the birth of new industries. Brings up entirely genuine challenges and opportunities, Media Architecture is an important trend in the 21st century architecture and urban development. Media Architecture will subvert the existing model of Architecture. It will not only shape new building facade and appearance, but also achieve information interaction and the physical existence of socialized media device. It will evolve into the producer and messenger of social media, forming a public network of cities’ media interface and becoming a social network of public sphere. It holds great potential as mouthpiece for public voice and a peephole into the heart of government. Media Architecture will have a more prominent public role, and as a new link, permeating every aspect of people’s lives. Media Architecture will subvert the traditional concepts of space art, having the city as a stage, creating new media arts and public arts in urban environment to showcase their interactive, public, social and complex art works, which will lead to unprecedented level of influence. “Technology always moves forward, art is always in return”. Technology and art have accompanied and complemented the process of human civilization. A smart city cannot just be an integration of intelligent technology, but a collision among technology, culture, and arts melded together into a “smart life” society which having their own conception of life and lifestyle. And Media Architecture will become the carriers and shapers of these kinds of “smart lives”. This summit is jointly organized by the China Central Academy of Fine Arts (CAFA), Media Architecture Institute (MAI) and the China Solid State Lighting Alliance (CSA). It is also the first International Grand Summit in the field of Media Architecture in Mainland China. The national and international pioneers and explorers of Media Architecture will meet, communicate and share the latest achievements, trends and concepts in the field. On this basis, the Summit would use the concept of “Smart Life” as the center and Media Architecture as the radius, to explore the collaborative and innovative model of art and science, and to promote the establishment of the interdisciplinary academic exchange platform and organization mechanism. The Media Architecture Exhibition will be held at the same time with the Summit. This exhibition will be a showcase of comprehensive collection of international media architectural projects as well as works from the Studio of Media Architecture in CAFA. The Media Architecture Summit Beijing 2015 will include a one-day summit (open to the public) and a half-day roundtable discussion (by invitation only). Lunch break. CAFA Arts Museum coffee bar. Media facades; past, present & sustainable future: The impact energy waste is having on media facades, what can be done? Professor Chang Zhigang PhD, Architecture school of Tsinghua University, Beijing. Born in 1967, Shenyang, Liaoning province, China. Teaching and research in lighting design and architecture design. Professor and vice dean of Architecture school, China Central Academy of Fine Arts, Beijing. Member of China Green Building and Energy Saving Committee; Member of editorial committee of China Architecture Education; Member of editorial committee of China Illuminating Engineering Journal; Member of editorial committee of Professional Lighting Design/ Chinese Version; Member of Chinese Artists Association; Member of the council of China Illuminating Engineering Society; Project evaluation expert of The National Natural Science Foundation of China. realities:united CEO. Studied architecture at the Technische Universität Aachen and the Bartlett School of Architecture in London. From 2000 to 2001 he taught at the Department of Architecture at the Technical University of Berlin, and in 2003 at the Pasadena Art Center College of Design. Awards: The brothers’ installations have been honored with numerous awards, for instance the prestigious “Kunstpreis Berlin 2009” (Art Prize Berlin, an award in the category architecture) by the Akademie der Künste in Berlin (Academy of the Arts Berlin), or the Hans Schaefers Award by the Bund Deutscher Architekten Berlin (German Architects Association Berlin). After receiving the gold prize of the regional Holcim Award for Sustainable Construction in Europe for their project “Flussbad” (River Pool) in 2011 – the prize carries a 100.000,- US$ purse – the project was also awarded the 50.000,- US$ bronze Global Holcim Award 2012. Dave Colangelo is an adjunct professor of New MediaArt History at OCAD University in Toronto, Canada. He holds an MA in Cultural Studies and Interactive Media from Goldsmiths College, University of London and a PhD in Communication and Culture from Ryerson University. His research and writing investigates expanded cinema, screen cultures, and the impact of digital media on art, curation,and architecture. Colangelo’s writing has appeared in the Leonardo Electronic Almanac and The Journal of Curatorial Studies. His work as a new media artist has been presented at the International Symposium for Electronic Art (Istanbul 2011,Sydney 2013) and the Biennale of Architecture and Urbanism in Shenzhen/HongKong (2013-14). Professor Zhao Zizhong, the PHD advisor and the dean of New Media Institution of Communication University of China (CUC). As a visiting scholar, he carried on researches at Massachusetts Institute of Technology (MIT) in 2013 and Columbia University in 2012. Prof. Zhao is the expert of digital content industry and digital new media. He is one of important leaders of new media academic field in China. He focuses on the research of “new media and society” and also works as the media expert of United Nations Economic Development Administration for China Projects, and he is the expert of NGB （Next Generation Broadcasting Network）Working Group, Direct TV Broadcasting by Satellites Working Group and consultative committee expert of SARFT (State Administration of Radio, Film and Television), etc. Senior lecturer in the School of Architecture at the University of New South Wales, Sydney, Australia. Haeusler is known as a researcher, educator, entrepreneur and designer in media architecture, digital technology, interaction design and ubiquitous computing and author of four books, several book chapters and conference papers. Professor Zhang Guoqi, IEEE Fellow; Director of DIMES center for Solid State Lighting (SSL) Technologies, Delft University of Technology, the Netherlands; Oversea director of State Key Lab for SSL of China; Co-chair of Advisory Board of International SSL Alliance (ISA); Vice chairman of Chinese Electronics Packaging Society. He authored/co-authored more than 250 scientific publications; Serves as chief editor for Springer book series “SSL Technology and Applications”. He has also worked for NXP Semiconductors as Senior Director of Technology Strategy, Philips Research Fellow until May 2013. 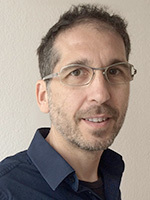 Dr Martin Tomitsch is a Senior Lecturer in the Faculty of Architecture, Design and Planning at the University of Sydney. He is the Director of the Design Computin gprogram, research member in the Design Lab, founding member of the Media Architecture Institute, state co-chair for NSW of the Australian Computer-Human Interaction Special Interest Group (CHISIG), and visiting lecturer at the Vienna University of Technology’s Research Group for Industrial Software (INSO). He is co-author of ‘New Media Facades’ published by av edition and over sixty articles published in journals and academic conferences. Dr Karsten Ehlings. Managing Director of Lichtvision and has the global leadership over all Lichtvision offices in Berlin (HQ), Hong Kong, and London. He received his doctorate in 1997 from the Technical University in Berlin where his doctoral thesis dealt with the use and analysis of daylight in architecture. Beside his responsibility for the company success, Karsten is mainly involved in large scale projects, often with a focus on conceptual development of media installations and façade lighting solutions. Karsten has been a regular lecturer for Lighting Design at the University of Applied Sciences Wismar, Germany. Dr Rong Haolei. Director, Department of Lighting Design & Research. Senior Engineer and Lighting Designer. Tsinghua Tongheng Urban Planning & Design Institute, Beijing. Senior Lighting Designer. Executive Director of China Illuminating Engineering Society. Deputy Secretary of Illuminating Engineering Society of Beijing. Specialty: The main research focus of Dr. Rong is urban lighting and architectural lighting. He is one of the main editors of National Standard and Codes for Urban Lighting Planning, Beijing Nightscape Lighting Technology Standard, and Beijing Urban Lighting Planning Standard. Dr. Rong publishes many paper and as the main translator, he translated Architectural Lighting Design and Lighting Design Basis. Main projects: Urban Lighting Master Plan for Beijing, Guangzhou, etc. Lighting Detailed Planning for Beijing CBD, Chang’an Avenue, etc. Architectural Lighting Design for Tian An Men, National Museum (Outstanding Award of China Building Decoration Association in 2011) Landscape Lighting Design for Beijing Olympic Forest Park, Longmen Grottoes in Luoyang, Buddhism Square in Mount Jiuhua，Guangzhou new axis，Huacheng square,etc. Master plan and programming design for 2011 and 2012 Guangzhou Lighting Festival. David Castañeda was Born in Colombia, raised in England and spent the last 10 in Hong Kong where he became an LED project specialist. He co-designed and project managed works such as the Hong Kong Coliseum, Lima national stadium and Estela de Luz Mexico.He also specified LED solutions for brands such as Lancome, Esprit, Hennesy, Heineken & Audi. Part of Castaneda’s USP for projects was his constant strive for interactive media-architecture that was attainable both from an engineering and financial point of view. Development of interactive media facades began withhis then partner Claudia Paz, where they designed the first interactive stadium, by having LEDs on the façade activate every time a player scored a Goal. In 2013 he was one of the founding partners of GDC global. He is currently responsible for both the global expansionof the business and marketing direction ofthe company. Director of the lighting plan and design for Beijing Olympic Central Area. The first Chinese lighting designer who won the World Award of Architectural Lighting Design; Named as one of the Ten Outstanding Young Designers in the 5th Dragon Design Fund Award. Special member of the International Association of Lighting Designers (IALD) Special member of the Illuminating Engineering Society of North America (IESNA) Obtained Bachelor of Science degree from Tsinghua University in 1993. Leading the Only Chinese Lighting Design team that won the IES Illumination Award of Excellence and won the IALD Award of Excellence. 2014 Beijing APEC Light & Fireworks Events—-“Red Lighting Carpet”. Lighting Design, No.7 Sunken Plaza in Beijing Olympic Centre. 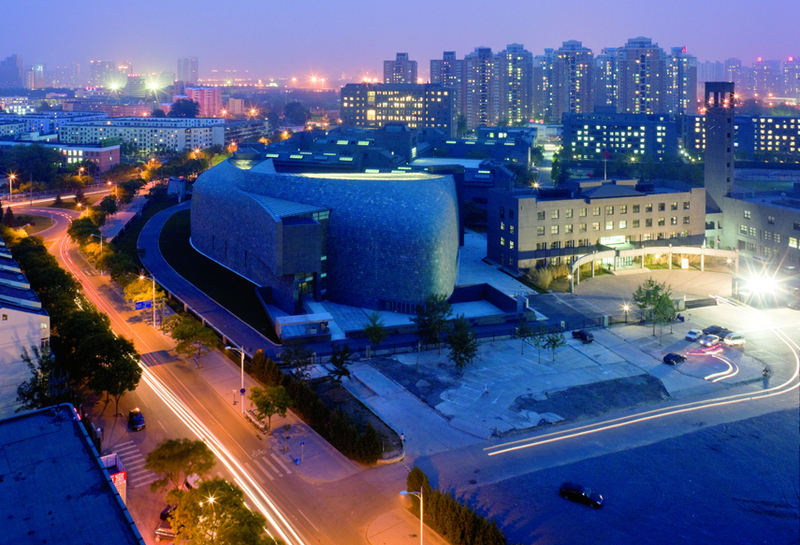 Won the Paul Waterbury Award of Excellence, IES, 2009 Lighting Planning and Design, Beijing Olympic Central Area. Won the Best Design hosted by Lighting Design Magazine and Guangzhou Design Award of Low Carbon Design (Ecological Building). Lighting Consultant, National Stadium (“The Bird Nest”), Beijing. Won the Award of Merit (IES) in 2009 Interior Lighting Design, Beijing LAN Club. Worked with the famous designer Mr. Phillip Starck that won the Award of Merit (IES) in 2009 “Iconic Water Cube”—National Swimming Center, Beijing. Awarded as New Media Artistic works in 2013. The Media Architecture Summit 2015 will feature an exhibition with more than 80 outstanding projects that define the state of the art of built Media Architecture. 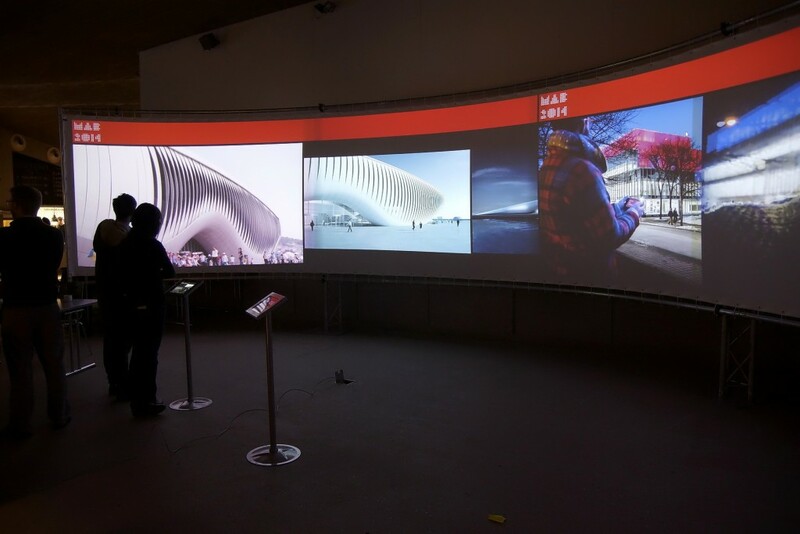 The visitors have the opportunity to navigate, select and see in large resolution pictures and videos of media architecture projects from around the world. The exhibition features extensive descriptions as well as stunning photos and videos, that give a vivid impression of the architectural and artistic impact of the projects. He is a Designer, Artist and Partner at OAD Beijing Co., Ltd. 2009.09 – Present: PhD Student at School of Architecture, Central Academy of Fine Arts. 2005 – 2008: Master of Arts, School of Design at Central Academy of Fine Arts. Award：2014 Book Design 《迁就的门》 The Accommodating Door; 2014 Book Design 《我来过宋庄》 a sojourn in Songzhuang-Chang Zongxian’s works;2014 Book Design 《我来过宋庄》 a sojourn in Songzhuang-Chang Zongxian’s works; 2014 Book Design 《迁就的门》 The Accommodating Door; Exhibition: 2012 Visual Identity Design for Chinese Academy of Social Sciences Institute of Literature – Selected by Tokyo TDC; 2010 Interior Design for Olympic branch line and airport line of Beijing Subway Stations – Gold Medal (Collective) for China Fine Arts Award at 11th National Art Exhibition. Curriculum Tutor of Central Academy of Fine Arts, Master Programs; Chief Engineer of Architectural and Environmental Lighting Design Research Center, Central Academy of Fine Arts. Technical Consultant of Zero-space Technology Co., Ltd Beijing. Director of Beijing Yikong Lignting Technology Research and Development Centre. He had engaged in the Wanda Plaza of Wuhan media construction projects, and won the highest award—Excellence Award from the International Association of Lighting Designers (IALD) in 2014.